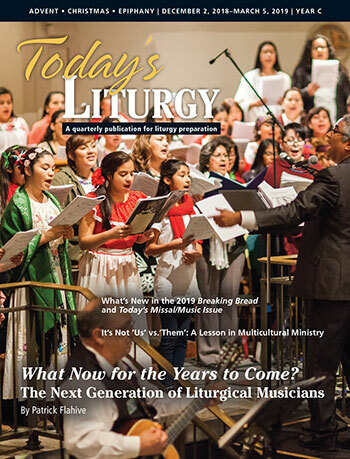 For more than 30 years, this Catholic magazine is a well-respected quarterly publication has been a key resource for music ministers and liturgists. Current issues include insightful articles; liturgy worksheets and music suggestions for each Sunday and holy day; and practical tips from regular contributors you can trust: Elaine Rendler-McQueeney, Paul Covino and Glenn Byer. Rev. Lawrence Madden, SJ, Founder and late Director of the Georgetown Center for Liturgy, Washington, D.C.
James Schellman, Executive Director, North American Forum on the Catechumenate, Washington, D.C.
Click here to read new and previous columns by Melanie Coddington and James Hansen. Enjoy year-round access to interactive liturgy planning tools. Purchase the online editions that you need, when you need them. Receive the print magazine in four convenient mailings per year. Call us today at 1-800-LITURGY! 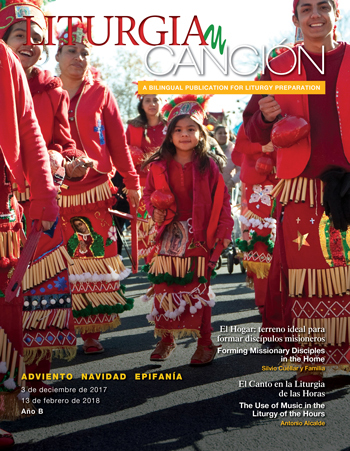 This bilingual quarterly magazine containing liturgy worksheets, Spanish-language and bilingual music suggestions, informative articles covering national events and international news from social issues and Catholic news to reflections and family life insights—printed in Spanish and English—and more is a must-have resource for those ministering to Hispanic communities. 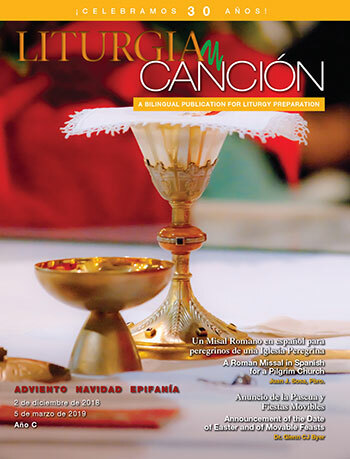 Plus, get the most of out this liturgy preparation tool with NEW interactive PDF editions! Useful articles about the new Misal Romano approved for use in the U.S.